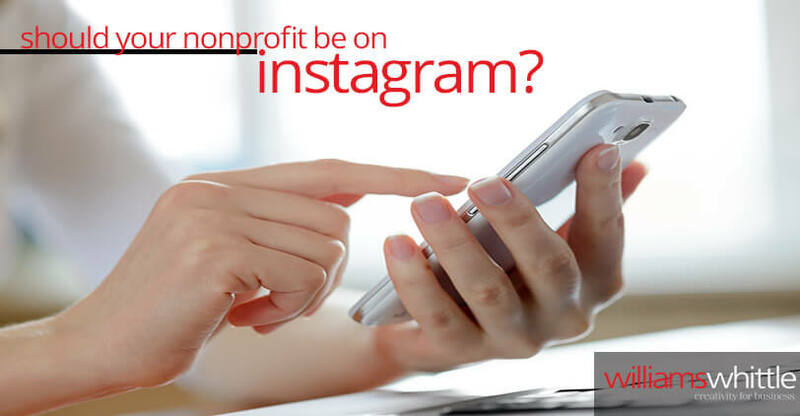 Should your Nonprofit Be on Instagram? Instagram has become an effective outlet for many nonprofits, including UN Foundation, To Write Love on Her Arms, and the ASPCA. But many nonprofits have struggled with the platform, finding little success in their hard work. As a nonprofit, you have limited time and resources. So, I encourage you to ask yourself: is Instagram a good fit for my organization’s needs? Ask yourself these three questions to determine whether or not it’s the right decision for your organization. Is your audience on Instagram? Before you decide to spend time on a communications channel, you should always first consider which audience you are trying to reach. So, first do some research on who is on the platform, and if your target markets are there. 31 percent of women and 24 percent of men regularly use Instagram to like, share, and post. Among teenagers ages 13 to 17 years-old, 23 percent of girls and 17 percent of boys use Instagram. 55 percent of all online 18- to 29-year olds in the U.S. are using Instagram, as opposed to only four percent of adults over 65 years of age. 32 percent of online adults who live in urban areas are using Instagram. A little further out in the suburbs, you can find 28 percent of users, and way out in the country, a mere 18 percent of Instagram users. Instagram has 500 million users, 300 million of whom use the social channel every day, but only 20% of Instagram users are located in the United States, constituting about 89.4 million users. To sum up all that information, Instagram tends to be young and urban. And while many donors are older, what is your organization doing to cultivate the next generation of donors? Instagram may be a good way to start engaging them now to develop that pipeline. Does your organization have great visual content? We all know cats rule the internet. There are lots of reasons for this, not the least of which is that people love seeing pictures of them. 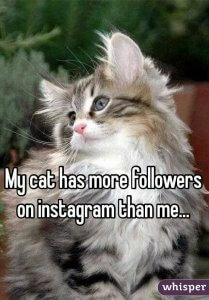 And if all nonprofits were cat-focused, the sector would be dominating the Insta-sphere. But as we know, lots of nonprofits don’t naturally create awesome visual content. When I worked for a capacity building organization, I quickly found out that I could only post so many pictures of meetings and trainings before my content got stale. And the same will go for many association, advocacy, grantmaking, training, and health-focused nonprofits. If you’re in this category, right off the bat you know that you’re going to spend extra time coming up with visual content. You’re going to need to be creating images with statistics, quotes, or even putting together a photo shoot to get high-quality pictures to save for later. It’s not going to be easy, but you will get the hang of it. Don’t forget that content can definitely be useful down the road and you can also use it on your other platforms. Now, if your nonprofit is a zoo, museum, or animal shelter, then you will probably not need to worry about content. As long as you have access to take the photos, you will have lots of content at your finger tips, ready to post. Do you have the time for Instagram? Even if your nonprofit has high-quality, daily content that you can share, you’re still going to need to dedicate some significant time to your Instagram channel. Depending on how easy it is for you to generate good content, I would budget 3-5 hours per week. Once you get the hang of it, you could whittle that number down, but start with that as an estimate. Each of these steps is essential to an effective Instagram presence. Do you have the time for all of it? If not, maybe doubling down on an existing channel is a better use of your time. I hope this has helped you determine whether or not your organization should start an Instagram account! Have other ideas? Share them on Twitter @williamswhittle or @ahcarney. This blog post originally appeared on Williams Whittle’s website. Previous postIs a Facebook Group Right for Your Association? Thank you, Allison. This is very helpful. Believe it or not, I have a nonprofit client who is trying to decide, right now, whether to start using Instagram! I’ll share your article with them.